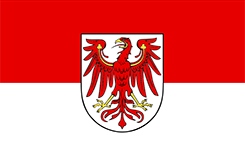 The Minister-President and nine federal state ministers form the government of the Land Brandenburg. The Minister-President is elected by the Landtag (Brandenburgian parliament) and appoints the ministers. He also determines the guidelines for the government policy and is responsible for them towards the Landtag. Within these guidelines, every minister is solely responsible for his or her division. In case of a difference of opinion between several ministers, the Land's government takes a decision. 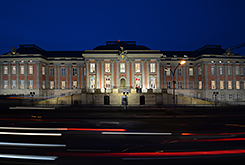 All important decisions concerning fundamental political questions, bills as well as important administrative and personnel issues are taken by the Land's government at its cabinet meetings which take place weekly at the State Chancellery. The State Chancellery and the Ministries head the regional government authority as "Supreme Federal State Authority". The "Higher Federal State Authorities" and the "Lower Federal State Authorities" are their subordinate authorities. The task inventory and the possibility of political development of a federal state is depending on whether the legislative powers and administrative responsibilities lie with the federal government or the federal state governments. The federal states have the legislative power and administrative responsibilities for e.g. education, issues concerning broadcasting and television, local law and police law. 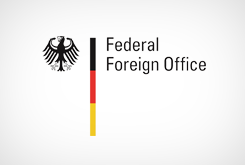 The legislation at federal level is assisted by the federal states through the Bundesrat (Federal Council of Germany). 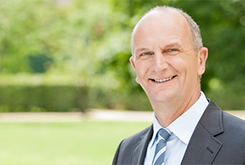 Since 2013 Dr. Dietmar Woidke serves as Minister-President of Brandenburg. His direct predecessor, former Minister-President Matthias Platzeck, identified the main priorities of the Land's government in his government declaration on November 18, 2009. "Public spirit and renewal: One Brandenburg for all" was the leitmotif of the Land's government for the further development of the Land in order to be well prepared for the coming decades. With systematic investments in education, research and economy, the Land's government wants to offer good education opportunities and living conditions for all citizens in Brandenburg – primarily for children and adolescents. Economic success and social justice are to be linked with each other and but also the Land's finances are to be run responsibly. The Land's government must keep the Landtag informed and is subject to an intensive parliamentary control. 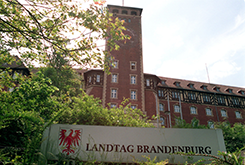 The members of the Landtag have the right to information and the presentation of files as well as access to the offices of the Land's administration. The Land's government regularly informs the public about its political goals as well as the Land administration’s specific projects. The online portal brandenburg.de is with more than 100,000 pages an important part of public relations of the Land's government. The aim is to provide to all citizens, visitors as well as companies a wide range of information on the Land Brandenburg. The working of the Land's government and its subordinate authorities as well as local authorities is always updated and prepared comprehensively.